Week 18 – London. 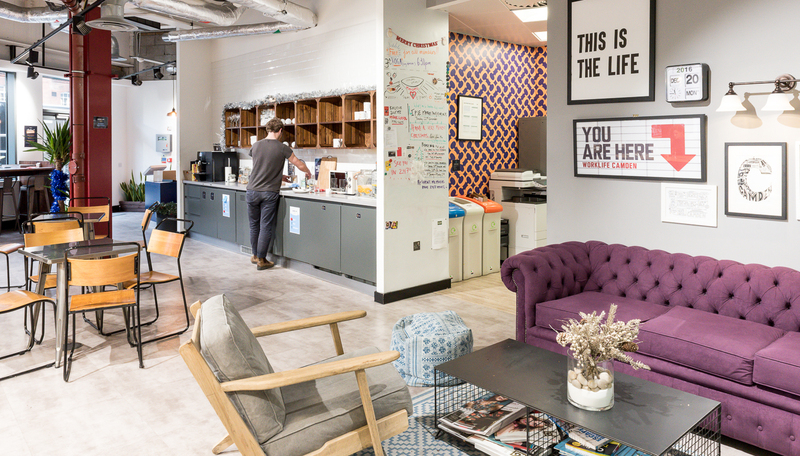 In this week’s Workplace Series, we are presenting a young and fast-growing coworking space in Camden Town called Work.Life. Through this interview with eOffice Founder, Pier Paolo Mucelli, and Work.Life Director, David Kosky, we will take you through the whole journey from opening a coworking space in 2015, to the challenges and opportunities of the future, including the meaning behind their name. 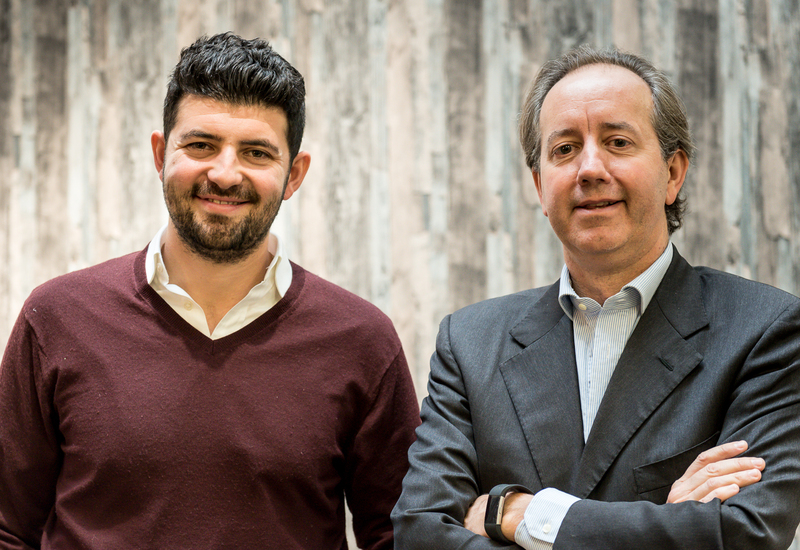 From Left: Work.Life Director David Kosky and eOffice Founder Pier Paolo Mucelli. David, why did you get into flexible office space and how did you come up with Work.Life? It all started as a coincidence: My business partner, Elliot, and I were both employed and working for different companies. He has a background in private equity management consultancy and my background is in finance and management. Like many people do, we were both reflecting on our own work lives and started thinking we were ready to leave our jobs. I had noticed an attitude of change in the way people feel about work and we wanted to try something more entrepreneurial. We both quit our jobs at the same time and this is how our journey began. At that time, we saw two interesting trends in the market: one was the change and the growing number of SMEs and the other was the rising coworking movement. Elliot’s previous job was with Startup Loans who had funded over twenty thousand startups. This made us understand the important role of freelancers in the market and the opportunity in terms of coworking. We knew there were big operators setting up big spaces, but no one was really focusing on providing more personal and tighter communities with comfortable environments to be in. As a result, we set up a business because we saw an opportunity in providing a different product to people. So, then you selected Camden Town as your first location? Yes. Camden was our first location. We started by looking through traditional serviced offices and realised that they all tend to be quite similar and lacking personality. However, we wanted to create something different! So, we found this site in Camden which was perfect! It had a ground floor presence, which was important so people could see into our space and get the feeling of the buzz and life here. Also, the location was ideal for its proximity to residential areas and transport links which provide quick access into town. In fact, we thought that with more and more people becoming entrepreneurs and freelancers, there is less desire to go and sit on a tube with your face in somebody’s armpit every morning to get to work. Therefore, we saw the opportunity of providing a workspace to people by their doorstep. Do you think most of your members live within this area? Yes, I think about 80% live within 2 miles. How do you elaborate your Work.Life brand with your member’s business and brands? The whole brand is about people enjoying coming into the office. 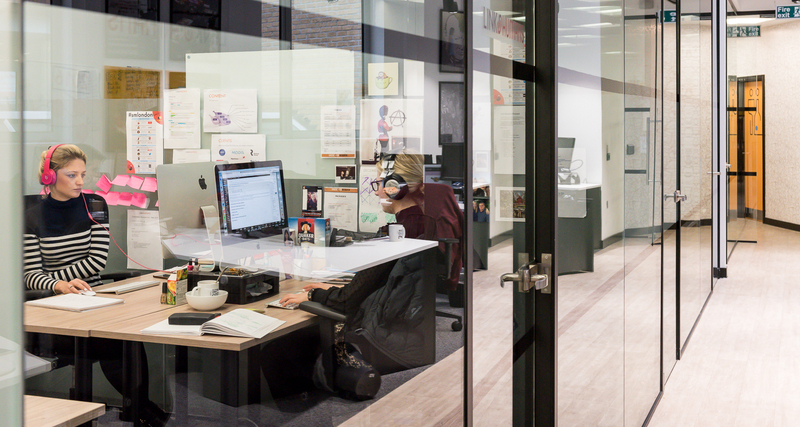 We can’t make them love the work they do and we are not an incubator, but what we do is provide a great workspace and services, which is the work side of our brand. On the other side, we have all the other aspects that relate to our member’s lives in order to make people look forward to coming into the office. And we do that for two reasons: First of all, we want people to enjoy the time they spend here and be happy. The second reason is to enable our businesses to retain staff. For a small business retaining staff is key and we want to be the partner that helps and enables companies to attract and retain great staff through the office and its benefits. So, on the life side, we provide our members breakfast every day, organise monthly massages, social and networking events, and we listen carefully to what they want. In other words, we apply all the perks that make people want to work here. And how do you develop the design of your spaces? We worked with an external designer to try out different solutions. Together we have tried, failed, and succeeded, and now, we are pleasantly surprised about the finished look. We have even adapted many elements from this design strategy to our new spaces. Any particular things you have brought with you? Yes, a number of things, ranging from the type of design and usage of the hot-desking space to where people want to work. The fact that people sometimes want more visual privacy and other times they want to work in communities. It is all about understanding how working fits in terms of office design. How many sites do you have now? We are now working on our 5th site. First of all, we have Camden, which had been full since the second month we opened. Then we have London Fields in Hackney, and then Bermondsey, which is a 9000 sq ft. building in Tanner street that we recently opened. In fact, pre-opening it was already 60% full! Our 4th location is a joint venture that we are doing with Verizon in Clerkenwell and will be Work.Life Verizon. The whole idea was to build on what we have done here and connecting innovation, community, and startups together. Most businesses realise that innovation is difficult unless you work side by side and collaborate with other companies. Therefore, this project is a way for us to bring out a space with a great coworking soul, at the same time as we are giving businesses the opportunity to work alongside Verizon as corporate clients and partners. Finally, in April, we are opening our first site outside of London as we have a great spot in Reading. So, you are focusing on being present in excellent locations? Yes. Bermondsey is definitely interesting because we are located by London Bridge. It has a lovely village feeling to it, but it is still centrally located. In addition, we have a terrace overlooking the town and a community with a great variety of big and small businesses from many sectors. David, could you tell us more about the various physical components within this particular space in Camden? 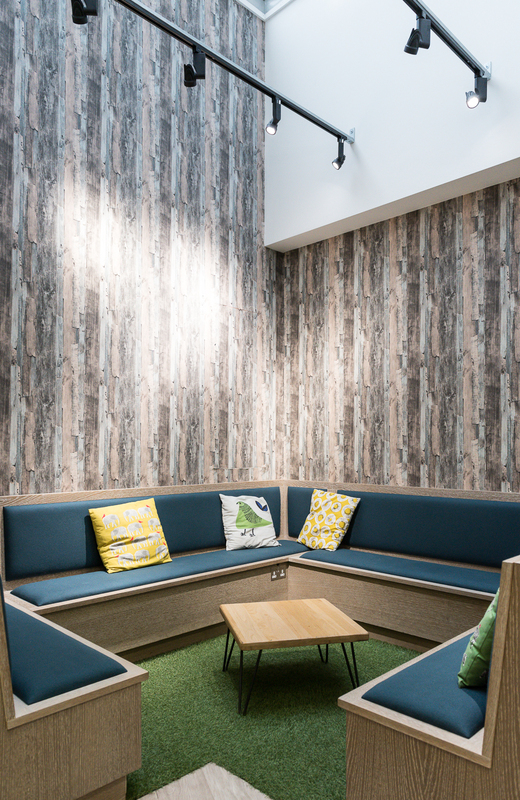 On all our sites we have a mix of hot-desking areas which can be moved around to become an event space. 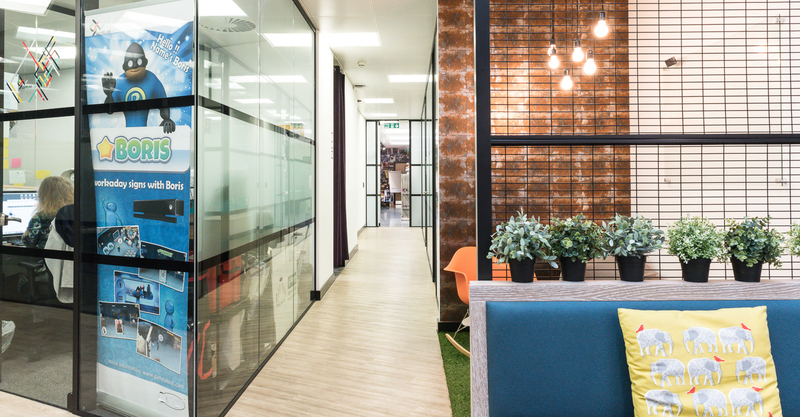 Here in Camden, our hot-desking space has a variety of areas, from library style booths, when you want to be more focused, to enjoyable and open hot desking tables with soft and comfortable seats. 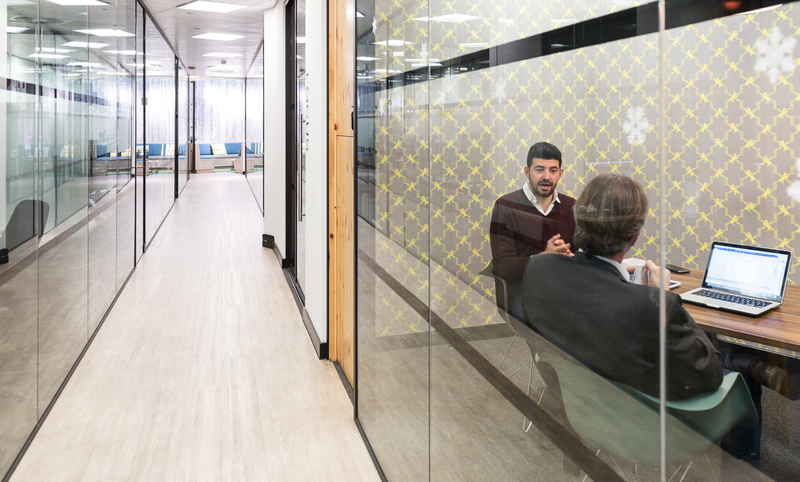 In addition, we have a number of phone booths, meeting rooms, and something called mood-booths with an original design to fit people’s working moods. How many meeting rooms have you got here? It depends on the location. We have two here in Camden, but on the biggest site, we have four. With the different memberships, you get a free number of meeting rooms per month. 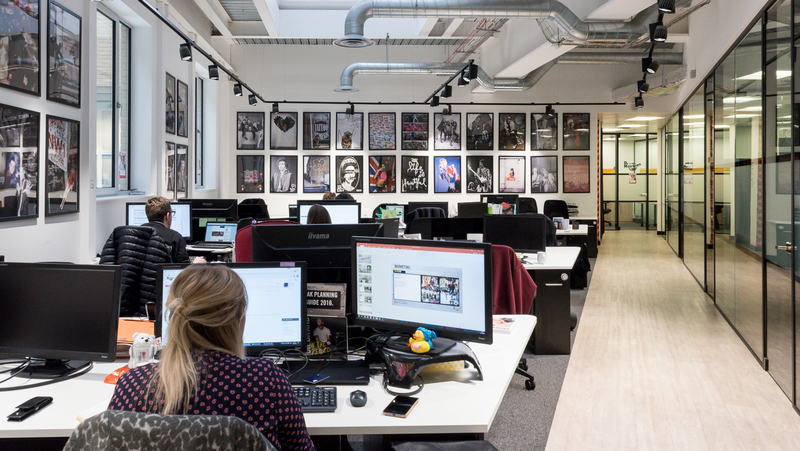 In Camden, we also have a dedicated desk area, where you have 24 hours’ access to your desk, as well as private offices from 2 to 40 people. What is your desk capacity here, excluding the hot-desking? On our 7000 sq ft., we can fit 160 people. We have a very well planned and efficient use of space, and the reason it works so well is because it is one floor with bright areas, and because it is good interaction between the people here. When you keep it this small, the people get to know each other well and start to feel like a family. This is exactly what we are trying to achieve. And, how do you manage your community? We have a community manager and a membership assistant on each site, meaning each location has two people working there full-time. We also have a small central team. What do you see as your main challenges and opportunities for the next few years? We are growing quite quickly and a challenge would be to stand out from the other players in the market. There are a lot of operators and this is always going to be a challenge. The other challenge is finding good properties at the right price. What is interesting about coworking, is that these spaces are sort of the gap between old school institutional landlords and the small businesses. In London, rents are still very high and, from a property perspective, we don’t want to enter into leases where we are paying substantial rents because we are trying to build a robust model. So, to summarise, pricing and growing in the right locations are our key challenges. Finally, how do you see the flexible office market developing in the next 3 to 5 years? I think it is going to grow even more. The main trend we are going to see is demand from larger companies. For instance, we have MTV taking space in our Camden centre. 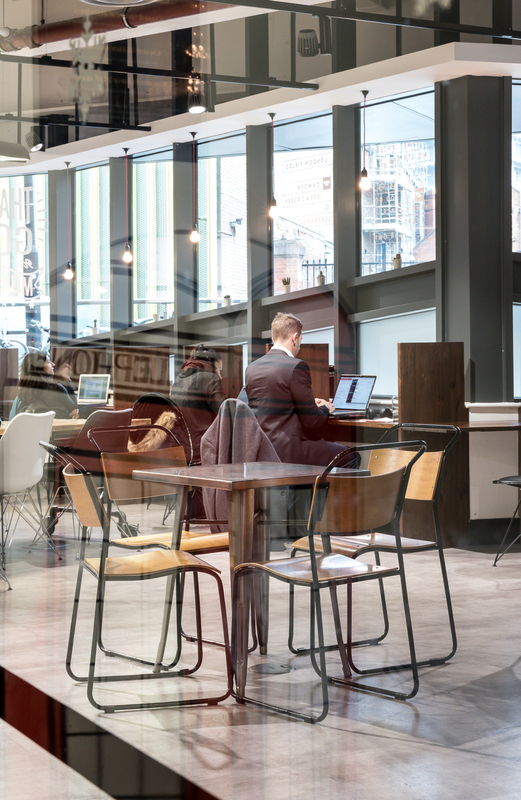 These bigger businesses are all looking to move towards hot-desking, reducing their footprints, and we are going to find that when they work with consultants and freelancers, they will be looking towards coworking spaces. Therefore, I think that the coworking solution is going to be increasingly interesting for bigger businesses looking for more flexibility. In addition, I also think the growth of the freelance market will become an interesting trend. I believe we are going to see more freelancers looking for better ways to work than in coffee shops and at the kitchen table, so we are trying to provide a solution that is affordable and flexible. Overall I think that we will be able to see an attitudinal shift in the way people and businesses are working. We will also see a continuing demand, but at some point, I think that it will be a consolidation in the market. Thank you for the great hospitality, David Kosky and Work.Life!